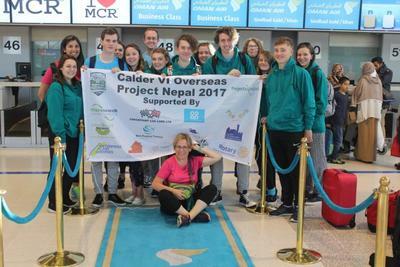 Following on from their previous trips to Sri Lanka in 2015 and 2016, Calder VI were ready to embark on their next volunteering trip, this time to join a Care & Community project in Kathmandu, Nepal. The student volunteers worked at the Sunrise English Boarding School in Lalitpur, 45 minutes from the Kathmandu city centre. During the first week the volunteers cleaned and painted the walls of several classrooms before designing educational and colourful murals which the teachers will incorporate into their teaching. In the second week, workshops were run with the children including a dental outreach and educational games. Aside from working at the school, the group also got to spend their evenings doing varied activities in Kathmandu. These included learning to cook momo’s, eating a variety of Nepalese food and watching traditional dancing shows. The group were also able to explore various sites of cultural interest such as the 4th century temple at Changu Narayan and the ‘monkey’ temple Swayambhunath overlooking Kathmandu. The weekend then saw the group visiting Pokhara to explore various sites including the sacred lake, a hanging bridge, Shanti Stupa Buddhist Temple plus local markets and restaurants. In order for the project to take place, the Calder VI students had to raise a collective total of £28,500 whilst also working hard towards their A2 examinations. 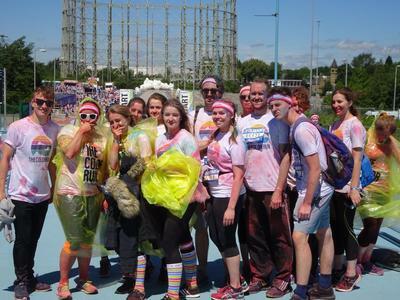 It’s safe to say that they had got their fundraising strategy down to a fine art that saw the entire group getting involved in a huge variety of events in the year leading up to the trip. Fundraising included taking part in the 26 mile Halifax Long March which runs from midnight to 10am on Easter Sunday, sponsored 24 hour Stay Awakes with students from lower school, car washes, fashion shows, raffles, refreshments, bake sales and an abseil. They also embraced the motto "If you’re going to help a community on the other side of the world, perhaps your own community can help you get there". They did this by asking local businesses, companies and organisations for their generous support towards the trip, in return they produced a flag with all of their logos on which they then took with them everywhere to highlight the support from their local community. "I am delighted to have been part of another enjoyable and invaluable experience for both the Calder VI students and the staff and students of Sunrise School. 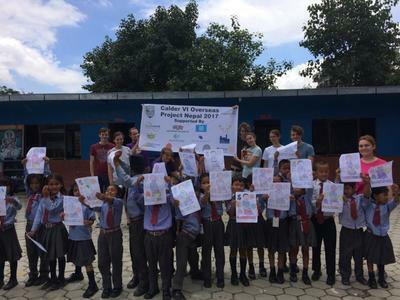 The Year 13 students were excellent ambassadors for Calder VI, working hard to complete the project and by interacting fantastically with the Nepalese children. 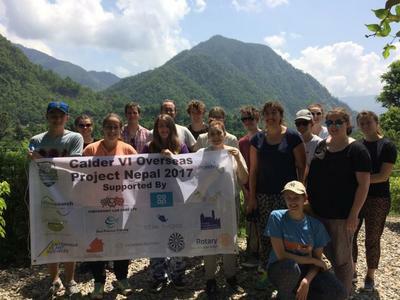 This is my fourth overseas project with Calder VI and I take great pleasure in witnessing first-hand the effects such a project has on our student volunteers. Each of the young people taking part has been through their own personal journey and all said that they felt the projects have been life-changing experiences. 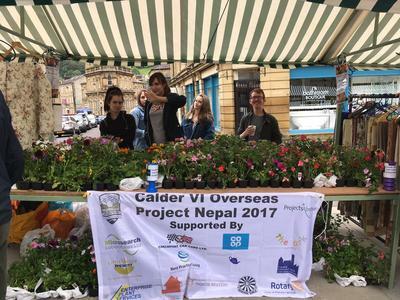 I am delighted to be a part of the Overseas Project and hope to help make future projects the most positive experiences possible for the Calder VI volunteers ensuring we enrich the lives of the children and adults we work with each year". If you would like to read more about Calder VI’s previous trip to Sri Lanka in 2016, you can read more here. Otherwise, if you would like to watch a video made by one of the students on their 2015 trip, you can watch it here. 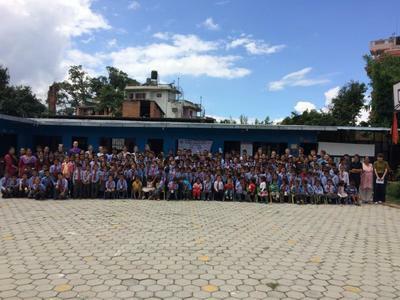 If you would like to learn more about Care & Community in Nepal then please click here.